Yep, we noticed it, too: The King of Limbs, the latest, hysterically received Radiohead album, was a scant eight tracks. So when Radiohead announced that they were releasing two new tracks for this Saturday’s international Radio Store Day, we had to join the throngs of internet superfan conspiracists and ask: is a Limbs companion piece soon to follow? Says guitarist Ed O’Brien (heretofore known as Scrooge), no. "'The Butcher' is from the King Of Limbs sessions," he told the BBC’s 6 Music today. 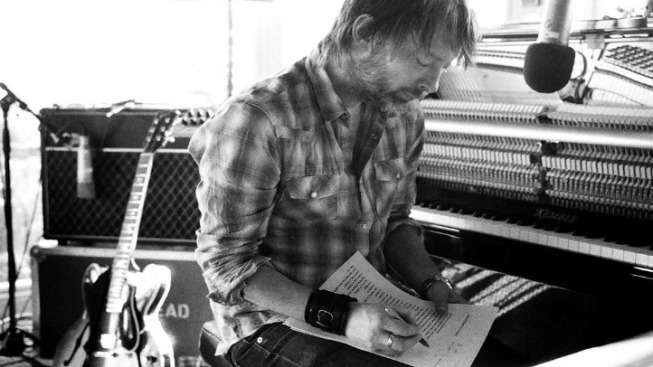 "'Supercollider' was recorded during that period and finished off after the album came out. There are [other] songs that we have started, that we never finished, but there's not like seven or eight finished songs waiting in the wings to be released now, or in the autumn, or something." So grab ye blossoms while ye may, Radiohead fans. These new tracks will have to tide you over for awhile. The two new tracks join a slew of goodies released specifically for Record Store Day, though: Rolling Stone has a solid roundup.